St. Peter’s Basilica is one of the four basilicas that Rome has. It is officially known as Basilica di San Pietro in Vatican and it is located in the Vatican City, Italy. This basilica is where St. Peter was buried. Since then, many popes have been buried in the basilica as well. St. Peter was one of the twelve apostles of Jesus and later became the Bishop of Rome. The church in the basilica has been standing in this site since the 4th Century. Because of its uniqueness, artistic beauty and historical association, St. Peter’s Basilica attracts many visitors and pilgrims. St. Peter played a great role in establishing the Catholic Church. 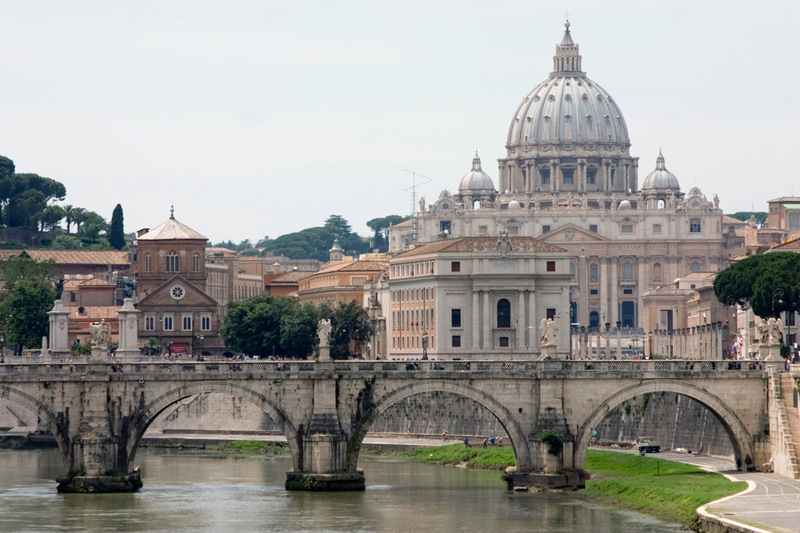 Peter was in the ministry for thirty years, after which he took a tour of the Rome. He was later executed in 64 A.D. when he was crucified upside down, as per his request, in what is now called St. Peter’s Square. St. Peter’s Basilica is considered to be one of the holiest & the largest of all the Catholic Churches in Christendom. The main building is very impressive and stands 138 meters tall. Its passage is about 218 meter long. The interior artwork consists of the Pieta by Michelangelo, Papal Altar by Bernini and the Monument to the Stuarts by Canova.